In Arizona, we do a lot of driving. This means that we must work extra hard to stay on top of vehicle maintenance. Understanding how our environment impacts our vehicles is an important foundation for understanding how to best care for our vehicles over time. Since Arizona requires that we drive long distances often, we can run into car trouble quite easily. One of the most important aspects of vehicle care in these areas is tire health. Staying on top of routine tire maintenance is critical for extending the life of your tires, saving money on frequent tire replacements, and minimizing the risk of blowouts and flat tires while traveling at high speeds. There are many different factors that can affect how quickly your tires wear, and it is important to consult with professionals who can identify unique aspects of your driving habits or particular vehicle that may make your tires wear faster than others’. One aspect of vehicle maintenance the has a direct effect on tire health is wheel alignment. Wheel alignments are part of your manufacturer-recommended scheduled maintenance tasks, and it is critical to have routine wheel alignments performed. When your wheels are not in proper alignment, it can cause your tires to wear unevenly, creating weak spots that can lead to blowouts and flats—especially under dangerous conditions such as while on a highway with other cars traveling quickly. Furthermore, hitting a curb or running over a pothole can alter your alignment, so it is important to occasionally check your alignment by observing if your wheel pulls in one direction or another on a flat driving surface. Front-wheel drive cars typically wear out front tires before rear tires; therefore, it is important to understand how your specific car may wear tires differently than others. Regular tire rotations can be performed according to your schedule of maintenance, but you should have your tires routinely inspected when you bring it into your automotive specialist for other routine maintenance procedures like oil changes or tune-ups. Depending on your driving habits and other factors, you may need to have your tires rotated more often. Not all drivers experience tire wear in the same manner, and as previously mentioned, there are many factors that contribute to why this is. One factor to consider is your individual driving habits. If you tend to drive erratically, accelerating quickly or braking abruptly, your tires will likely wear faster than others’. When you apply pressure to your brakes abruptly and on a regular basis, for instance, it creates more frequent and intense friction between your tires and the asphalt. This friction results in fast-occurring wear patterns. It is important to evaluate the way you drive to determine if your own habits may contribute to how often you need to replace or service your tires. This can save you money in tires, of course, but can also improve your vehicle’s performance such as increased gas mileage. The way you drive certainly affects how quickly you’ll need to replace or service your tires; however, where you drive has perhaps an equal influence on your tires’ health. Driving frequently in areas with poor road conditions, loose gravel, potholes, and other road imperfections, can wreak havoc on your tires. Driving in these conditions can lead to drastically increased tire wear. It may be helpful to find alternate routes to take on your frequent trips, or to speak to your automotive specialist about how to prevent or lessen the road’s effects on your tires. Whether you need a tire rotation, replacement sets of tires, wheel alignments, or simply a top-off on air pressure, the experts at Tech Plus Automotive can help. 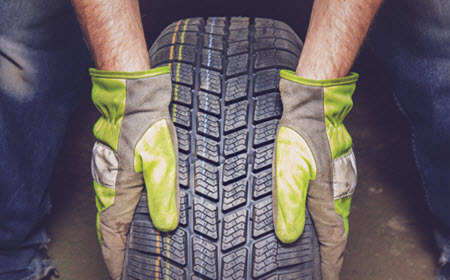 Serving the areas near Scottsdale, Phoenix, Paradise Valley, and McCormick Ranch, AZ since 2003, we see plenty of drivers who experience expedited tire wear. Driving to and from work each day or running frequent errands alone can cause your tires to wear quickly due to the far distances we typically travel to accomplish such tasks. If you own a vehicle like BMW, Jaguar, Land Rover, Porsche, Volvo, Acura, Infiniti, Lexus or Mercedes, contact our team of specialists to schedule a tire service tailored to your unique vehicle’s needs.